A child had ascites secondary to pancreatitis. 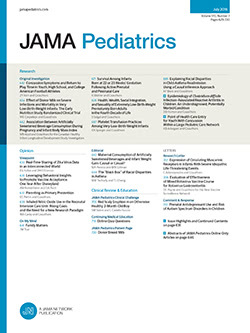 Only 14 previous cases have appeared in the pediatric literature, to our knowledge. Unsuspected blunt trauma may be an etiologic factor in the development of the pancreatitis and subsequent ascites. In patients with unexplained ascites, amylase and lipase determinations should be performed on both serum and ascitic fluid.